From typical metrology parameters for common wireless and microwave components to the implementation of measurement benches, this introduction to metrology contains all the key information on the subject. 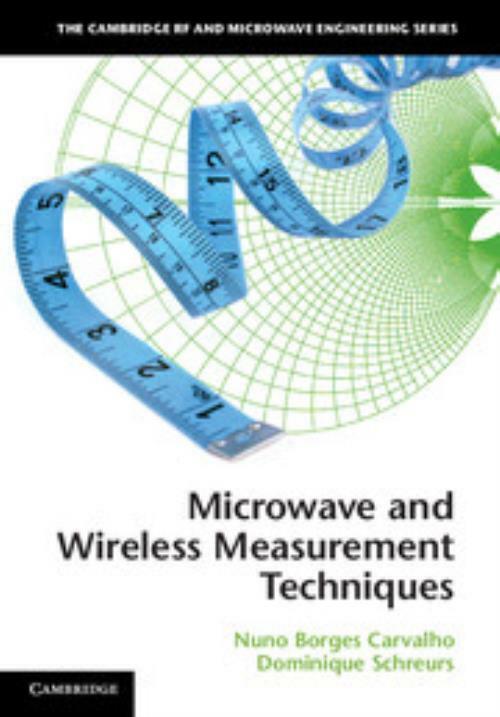 Using it, readers will be able to: - Interpret and measure most of the parameters described in a microwave component's datasheet - Understand the practical limitations and theoretical principles of instrument operation - Combine several instruments into measurement benches for measuring microwave and wireless quantities. Several practical examples are included, demonstrating how to measure intermodulation distortion, error vector magnitude, S-parameters and large signal waveforms. Each chapter then ends with a set of exercises, allowing readers to test their understanding of the material covered and making the book equally suited for course use and for self-study. 4. Test benches for wireless system characterization and modeling. Nuno Borges Carvalho Universidade de Aveiro, Portugal. Nuno Borges Carvalho is an Associate Professor at Universidade de Aveiro, Portugal, and a Senior Research Scientist at the Instituto de Telecomunicações. His main research interests include nonlinear distortion analysis in emerging microwave/wireless circuits and systems and measurement of nonlinear phenomena. Dominique Schreurs Professor, Katholieke Universiteit Leuven, Belgium. Dominique Schreurs is an Associate Professor at Katholieke Universiteit Leuven, Belgium. Her main research interests concern the nonlinear characterization and modelling of microwave devices and circuits, as well as nonlinear hybrid and integrated circuit design for telecommunications and biomedical applications.